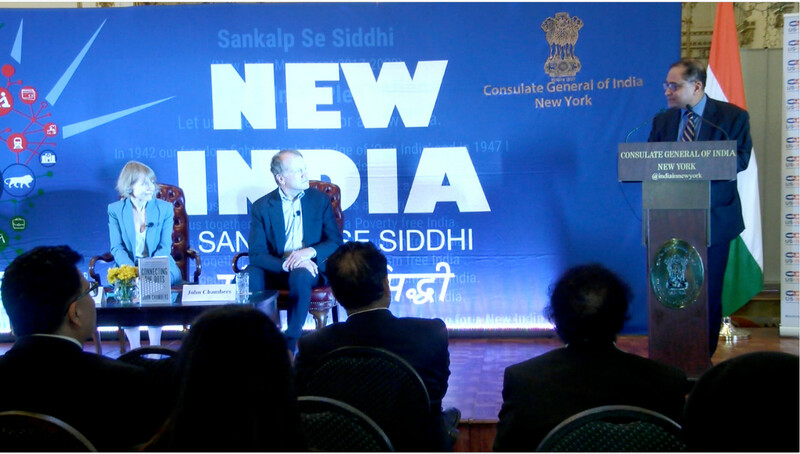 John Chambers, founder, and CEO of JC2 Ventures and Chairman Emeritus of Cisco, delivered a talk on “Connecting the dots: Lessons for a leader,” while addressing guests at the Consulate General of India in New York on Sept. 26. Chambers is also the chairman of US-India Strategic Partnership Forum. The talk was organized by the Consulate under “New India Lecture” series. This was the 8th episode and was moderated by Diane Brady, award-winning writer, author, and media adviser. 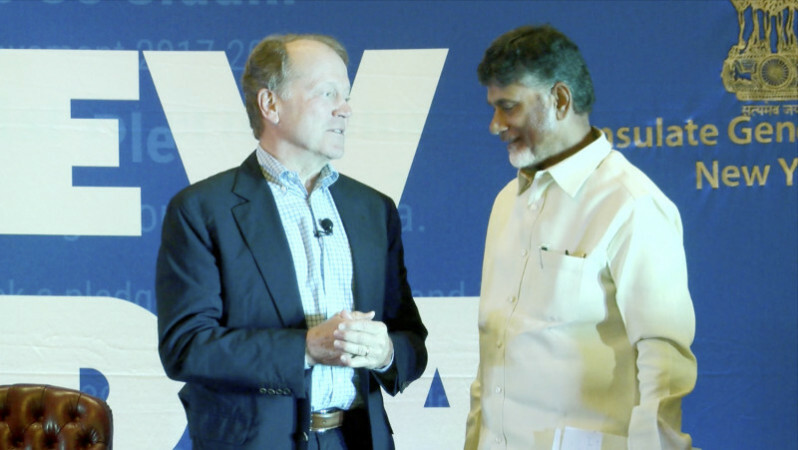 Among the invited guests was Chandrababu Naidu, chief minister of Andhra Pradesh, who is visiting the US. Chambers spoke on the value of entrepreneurship, saying startups will be the core driver of economic growth and job creating in the digital era.